Everything. Ease of access, great location, clean place with everything you need during your stay; home away from home. Well kitted out everything you really needed. Thanks for the free tea and coffee and milk...always handy when you have a later arrival. Host was super quick with help. The welcome pack of tea, coffee, milk and biscuits was a nice touch. The dining table with all it's "what you can do locally" information was great. Great communication by the hosts. 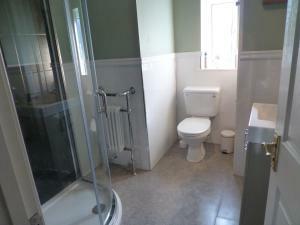 The property was clean, comfortable and in a great location. Everything we needed was available and great to have milk, tea and coffee provided. Very clean, with well equipped kitchen. 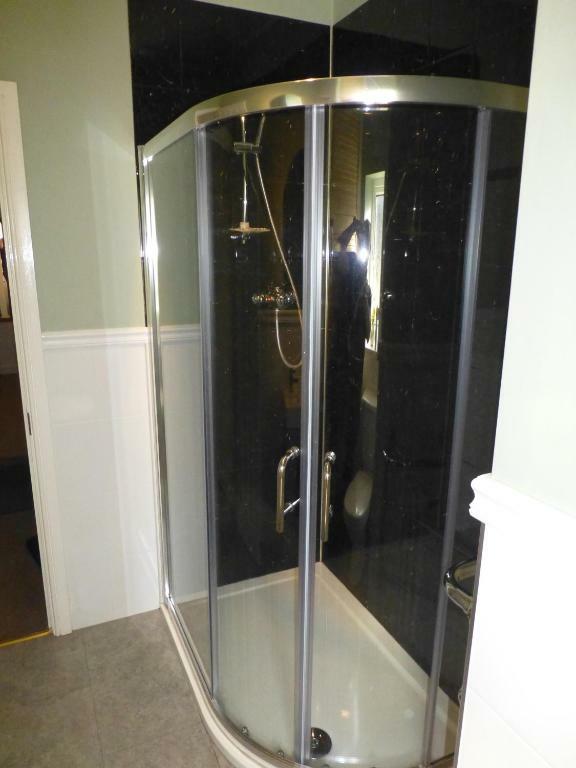 The shower was easy to use and was powerful. The location was good, and was near to a number of attractions. 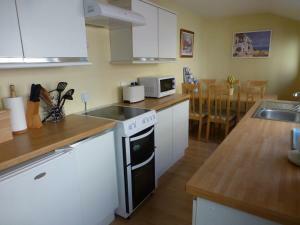 Very clean, good facilities and good value. The location is great for walks and exploring the area. The pub up the road on the right is dog friendly and does great food, big portions and good prices. The coffee shop a few doors down is also good and dog friendly. We will definitely be staying again and would recommend. De sfeer in het huisje en de ruimte. Het huis ligt prachtig in een mooie omgeving. 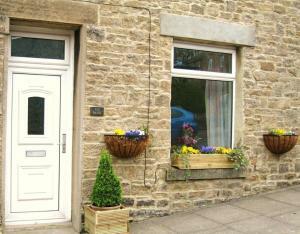 Lock in a great price for The Dales – rated 9.6 by recent guests! The Dales This rating is a reflection of how the property compares to the industry standard when it comes to price, facilities and services available. It's based on a self-evaluation by the property. Use this rating to help choose your stay! The Dales is located in Stanhope. The vacation home is in an area where guests can engage in activities such as skiing, fishing and hiking. This 3-bedroom vacation home comes with a kitchen, a seating area, a dining area and a satellite flat-screen TV. The vacation home has a grill. Ski storage space is available on site. Newcastle upon Tyne is 28 miles from The Dales. 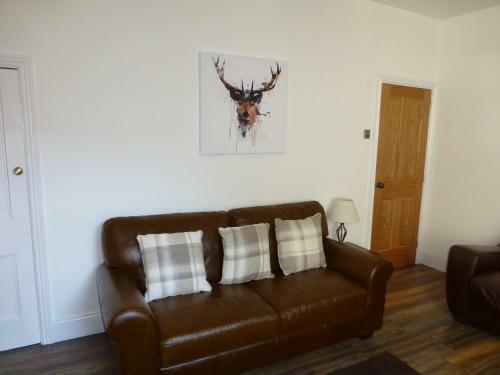 The nearest airport is Newcastle Airport, 34 miles from the accommodation. 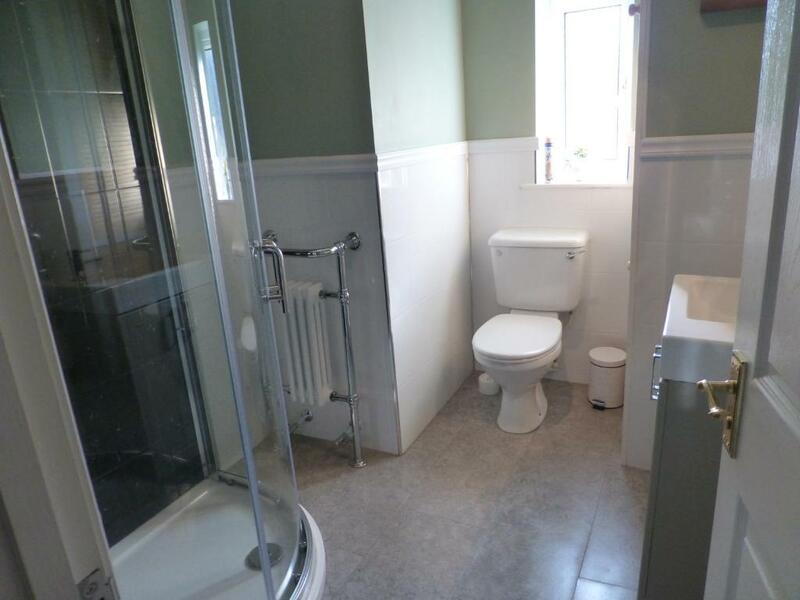 This property is also rated for the best value in Stanhope! Guests are getting more for their money when compared to other properties in this city. When would you like to stay at The Dales? This holiday home has 2 floors. It features an enclosed courtyard with outdoor furniture and a barbecue. It offers 1 twin bedroom on the ground floor. A further 2 bedrooms can be found on the first floor, which includes 1 double room and 1 twin room. A cot is available. There is a shower room. A 40-inch TV with Freeview channels and a DVD player is available. There is a living room, dining room and a kitchen with an oven, a microwave and a washing machine. 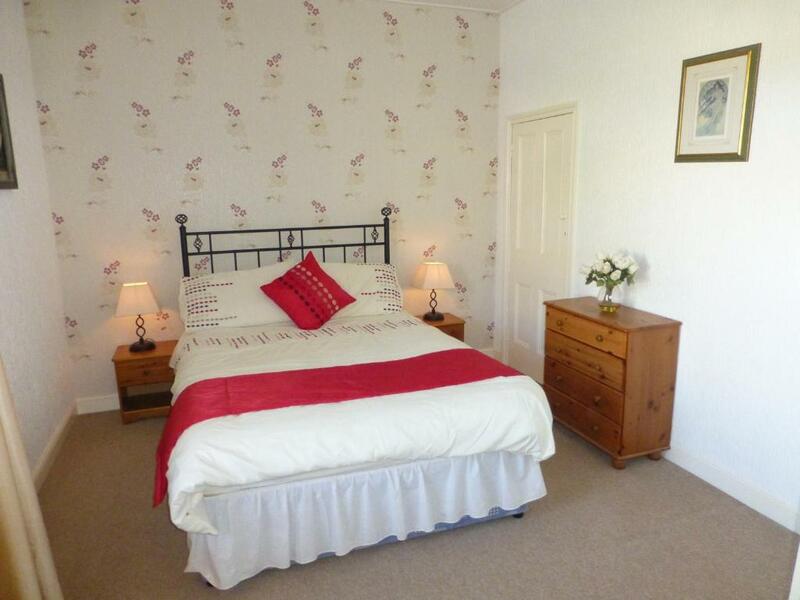 Gas central heating, electricity, bed linen and towels are included. A welcome pack is provided. Bike storage is available. Perfectly located for guests to enjoy walking, cycling and rambling, as well as discovering the thriving town of Stanhope. 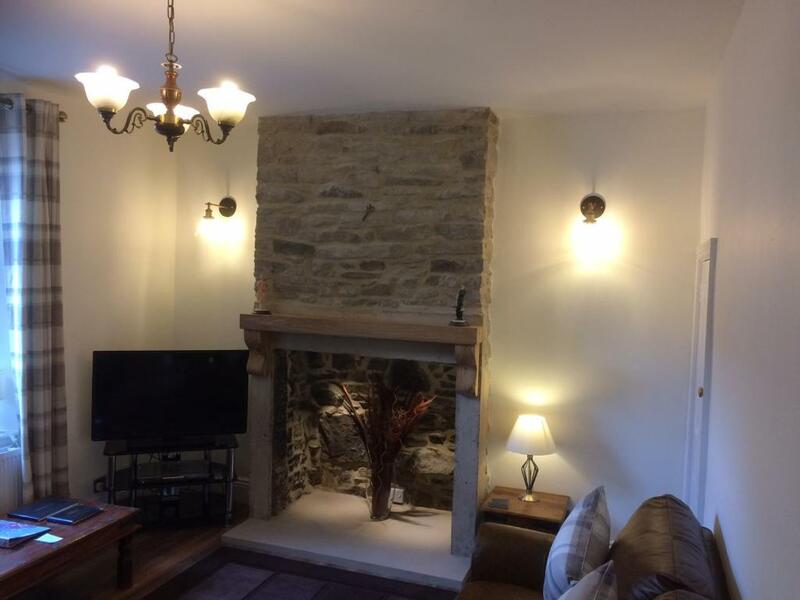 Perfectly located in the popular village of Stanhope, The Dales is a charming 19th century stone terrace holiday cottage, which offers comfortable accommodation to guests of all ages. 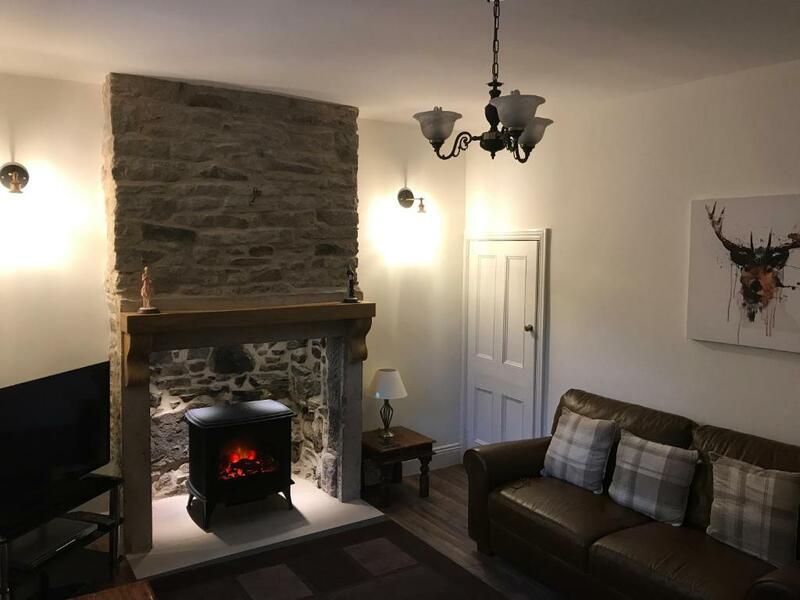 Nestled in the heart of Weardale, Stanhope is the ideal base for guests who enjoy walking, cycling, hill running or rambling, as well as those wanting to just enjoy a leisurely stroll through some of the most splendid countryside that the county has to offer. Bustling with small shops, pubs and places to eat, Stanhope is a thriving town that guests will find plenty of places to enjoy the local produce, or take a dip in the open air swimming pool that is so popular with tourists and locals alike. Surrounded by moorland in the North Pennines, an Area of Outstanding Natural Beauty, guests will find Stanhope the ideal spot from which to start their exploring. There are multiple established walks, public footpaths, bridle ways and cycle routes that run directly through the village and out into the nearby valleys and fells and unspoilt natural woodland. House Rules The Dales takes special requests – add in the next step! Please inform The Dales of your expected arrival time in advance. You can use the Special Requests box when booking, or contact the property directly using the contact details in your confirmation. Great place. Very clean. Fresh and warm. I wish the fire was real...googlemaps got the address totally wrong. So it was a pain finding the gates! Unfortunately some of the towels left for us were stained and marked so we didn’t use them. I found the double bed a bit noisy. It creaked! No dedicated carpark was our only issue a few nights. Good for town, good layout. After flushing the toilet, or running the bathroom tap, the water pipes made an almighty racket. This woke up everyone in the house in the early hours of the morning. The settee and chairs in the living room were not comfortable, as we had to plant our feet to stop from sliding off. Everything was lovely and these points below are a bit nit picky and didn't at all effect our stay but we could have done with a few more bowls as there were only 4 between 6 of us, no cheese grater, and it would have been lovely to have some handsoap in the bathroom. Apart from that the cottage is perfect.